Sun and Saturn would be in front of each other till June. It means Sun would be in Taurus and Saturn would be Sagittarius sign. These two planets are enemies. Aries: This time is normal for you. Sun is in your financial position therefore; it will be good for you. This time gives relief for some people. Problem will be reduced in business. Job professional might get new chances. However, problem in family life may increase. Money can be trapped due to eye conjunction of Sun-Saturn. You work hard to increase money but you won’t get desire results. You might face problem due to anger. You should control your speech. Property or hidden money might disclose during this time therefore; you should remain careful. Taurus: Sun will give you good results. Your time may be slightly favorable due to influence of the Sun. There might be mental and physical hassles due to Sun-Saturn relationship. Business can be increased, which will increase income. Difference may also be occurs in participation work. These days, the expenses and income will increases. Mood changes often. Sometimes you might get irritation. There might be auspicious work will be done in the home. Some people may get headache. You should control your speech. Businessman and working people may have to work hard. Gemini: The time is not good for you. The redundant costs will increase due to Sun-Saturn relationship. You can trapped in big dicrpeancies. Some working people do not get suppor from their superiors. You might go on unnecessary journeys. Businessman should work hard but they won’t get desire results. You will meet new people. Old enemies might disturb you. You have to take care in court matters. Cancer: The time is good for you. But Saturn is in fifth house and it impact on Sun therefore; the benefits may decrease. You will get new opprotunites. Money can be trapped for some people. You may meet new people, which will increase benefits in the future. You may think to invest money. Problems in family life may be solved. You will get benefit from the old investment. Leo: You will get benefit as Sun is in the tenth and Saturn is in fourth house. However, stress also increase. The mood might change without any reason. Your mother might face health issues. There will be ideological difference between your mother. Problems relating to old and new properties might increase. You will make progress but you have to work hard. Working people may satisfy their needs. You will get happiness due to some uncompleted works. You might get obstacle in some work. Virgo: The time is good for you as the relationship occurs in the ninth house. You will get support from luck. Your interest in spiritual work will increase. People who are applying for foreign trips they might get success. You might face ups-downs in health. You will get support from friends. You will get success in business. Brokerage people will also get success. Libra: The Sun-Saturn relationship may be ominous for you. The secret talks and plans can be disclosed. Working people might face problems due to colleagues. You may face financial losses. Do not invest money without thinking. You may face problems in relations due to bitter speech. You should be alert during these days. Your secret relationship may come out in people. People relating to share market should take care. The time is not good for health. Take care in documenting work. These days, your opponents will be active. Scorpio: Health problem may increase. There might be some hassles in love life. There may be variance stress with life partner. Some people may get transfer in job. 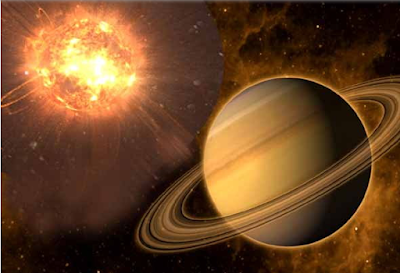 Irritation increases as there is impact of Saturn on your sign. Take care while driving. There might be accident or injury. Do not get hurry in any matters. Do not share your secrets and planning. Take control over your anger. Think before investing money in any field. Time is not good in partnership work. Do not take short cuts to earn money. Time is not good for share market. Sagittarius: The Sun is in sixth and Saturn is in twelfth house therefore; you should be careful. The opponents may create some problem for you. Redundant costs may be increase. You will face barriers in some work. Working people should take care. You will get new opportunities in business and job however, you won’t get desire results. You will get success to complete your pending works. You have to work hard in such work. You will spend money on your health. Capricorn: There won’t be any problems due to Sun-Saturn relationship. You will get success in your work. You might get sudden financial benefits. You will meet new and good people. Businessman and working people will perform better. You will get success to repay the loan. However, you should be alert in giving and receiving money. Avoid hassles in relationship. Working people will get new opportunities. Aquarius: The time is not good as mental disorder may increase. The expenses will increase. Health problems may arise. Blood pressure and diabetes patient should remain careful. You will spend your money on vehicles. You can pay the debt. There might be problem in partnership work. You may invest your money. Working people may face problems due to laziness. They might face problem with colleagues. Pisces: The time is good as Sun is in third and Saturn is in ninth house. Working people and businessman will get new opportunities. You can prove yourself against opponents. You can get success to complete pending works. You will get success in job and business. The relations will improve. Your demand will increase due to creativity. The time is good for love life. The problems will be solved in family life.